Attention, If you have already registered for the class, you DO NOT need to register again. Simply enter the username and password below that you received during registration. Golden Gate Traffic School offers Florida Department of Highway Safety & Motor Vehicle Approved Courses at our location in Golden Gate or instantly here Online. We offer Traffic Ticket Classes, First Time Driver Class, 12 Hour ADI Class and others. Traffic school made fast, and easy. Simply study the course materials online on your computer and then answer the quiz questions. Start Immediately (available 24x7), Retake free until you pass! Finish your driving course all at once or come and go! Whenever you want! Multiple choice and true / false questions! Traffic school made easy with personal assistance. Traffic ticket class every Tuesday night at 5:30 PM. CLASE PARA BORRAR PUNTOS EN ESPAÑOL LOS JUEVES a las 5:30 PM. 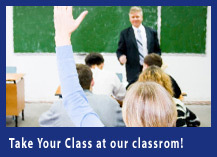 "Come to class without coming to class"
Site Design and Programming by Exploritech, Inc.